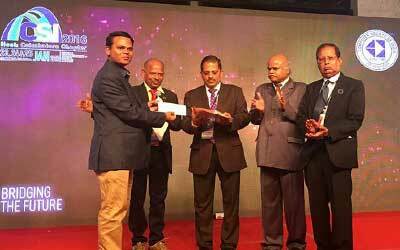 Dr.Sachi Nandan Mohanty, Assistant Professor, School of Computer Engineering, KIIT University awarded FIRST PRIZE as a "BEST THESIS AWARD" on 51st Computer Society of India (CSI-India), CSI Annual convention at Coimbatore, 23-25 Jan 2017. 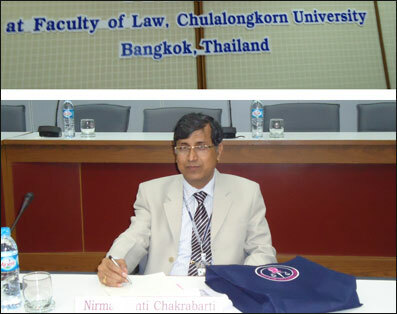 The Title of the thesis is “Influence of Cognition and Emotion on decision-making under Uncertainty”. 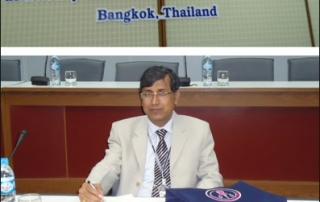 He did his Ph.D. From Indian Institute of Technology KHARAGPUR (2009-2013) with MHRD fellowship. 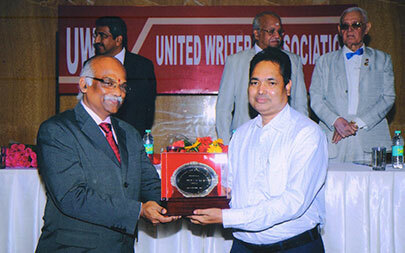 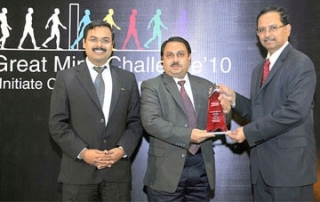 Prof. Prachet Bhuyan, School of Computer Engineering, KIIT University receiving the DRONA Award for being among best ten mentors at The Great Mind Challenge 2010 – (TGMC) of IBM, the Largest Technical Contest for engineering students recognized by Limca Book of Records. 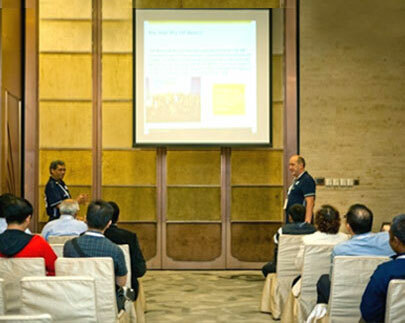 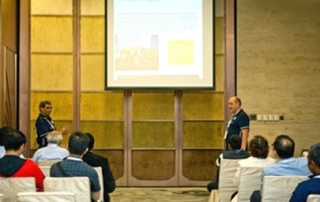 Dr Iswar Chandra Naik, Assistant Professor, KIIT University has presented two research papers at the International Union of Anthropological and Ethnological Sciences (IUAES) Congress at Manchester, United Kingdom. 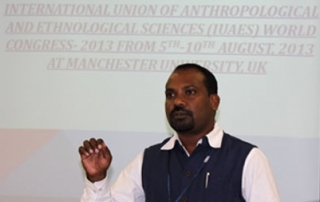 The topics of research papers being 'The Dombo : An Ethnographic Study of a Dalit Community in South Odisha' and 'Development, Displacement and Indigenous People's Movements in India: A Study of Odisha'. 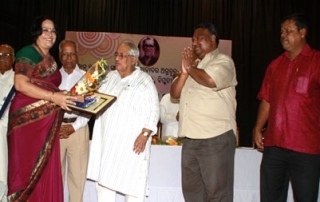 Dr. Sucheta Priyabadini, Joint Registrar, KIIT University receiving the prestigious ‘Prananath Samman-2013 for her contribution to the field of Social Sciences & Fine Arts. 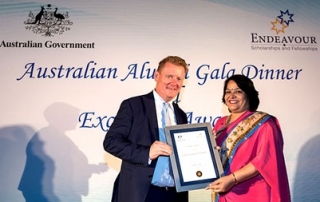 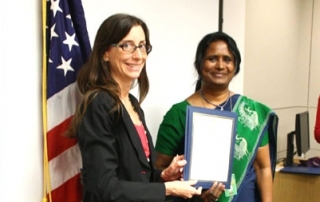 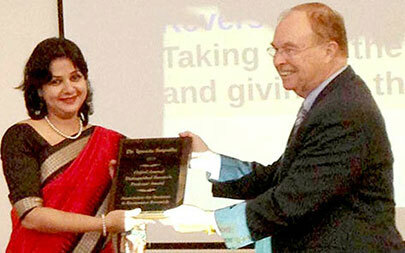 Dr. Sucheta Priyabadini, Director, Student Services receiving the Australia Awards Ambassador for 2015 from His Excellency Mr Bernard Phillip, Acting Australian High Commissioner to India at the Australian High Commission.